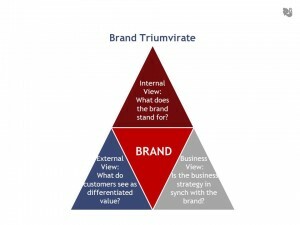 There are a gaggle of ways to look at brand and define what a brand is. We at Hansa like to think of a brand as a gestalt. No matter what elements we put forward as the ingredients of a brand, the whole will be more than the sum of the parts. This fact explains why there are so many different ways of looking at brands – we are implicitly trying to understand this gestalt. Beyond the gestalt, we also advocate that a brand is much more than a logo, tagline, or the position a company communicates to the market. While these are important, customers and prospects judge the company and its products by far more than that. They don’t experience just the brand communicated in messaging; they experience all ways in which they touch the product and company. They form their thoughts and feelings about the company based on this total experience. The experience is the brand. This total experience shapes the customer mind space occupied by the brand.The mind space occupied by the brand should not be accidental. It needs to be purposeful. This requires the company to be clear about what it wants the brand to stand for. What the brand stands for needs to set the company apart and provide the customer with a reason to buy its products rather than a competitor’s. The above may seem axiomatic. In practice, however, we find it is far from being consistently understood or executed. To be sure, many a CEO gets the importance of brand and how the company needs to deliver the brand experience with relentless perseverance. Just read Walter Isaacson’s biography of Steve Jobs to get a flavor of how this commitment can reach quite ardent proportions. But many CEOs don’t get it. Even John Sculley, who had a preeminent career and was hugely successful at the brand infused-culture at Pepsi, missed the boat on the Apple brand and the vital importance of product design coupled with ease of use. This was and is fundamental to the Apple brand, and taking the corporate eye off it almost cost Apple’s existence, per Isaacson’s account of Jobs’ views. CEO’s need to get it in their gut – they need to know simply and clearly what the brand stands for, what makes it valuable to customers, and how the company’s business strategy aligns with it. This leads us to the Triumvirate of brand development: Alignment of the business strategy, validated customer differentiated value, and clarity on what the company stands for. By some measures, the Southwest Airlines brand stands for fast, cheap, and fun. United is in evolution. At one time it may have stood for a premium experience, catered to frequent fliers. The business strategies of the two airlines were different as well. United obtained a price premium, focusing on major hubs. SWA focused on secondary airports with lowest fares and “peanuts.” At its core, SWA’s company culture stood for simplicity (no assigned seats) and a maverick attitude in the market, driven by a hard charging founder and a legacy preserved by its heir CEOs. United went through some serious bumps, with executive suite changes and many other business factors rearing their heads. Where it goes from here in terms of what it stands for as a brand is yet to be seen. Continental, now basically running United, also once stood for something great, in the days of Gordon Bethune. It will be interesting to see how Jeff Smisek brings a commitment to what the airline stands for that can be reflected in the experience customers have. We wish him well on this journey. No matter what, however, we would argue that United should not mirror the SWA brand – I expect to have fun on SWA; I don’t expect it on United. It would be incongruous with who they are. How does one develop a brand? One approach is to go to the market and ask people what they want and how they see different brands. An “outside-in” approach. Find out what the brand could own as its differentiated position and steer the brand and company toward that. Another approach is to know in one’s gut what the market wants and will want. An “inside-out” approach. Put another way, to know with conviction what the product or service needs to be and how it needs to be represented and delivered. Steve Jobs shunned asking customers. Instead, he relied on his innate feelings for what customers would want. And, he was probably a genius by this measure. At Hansa, we advocate not one or the other but both: outside-in and inside-out. This means that brand development needs to leverage the internal knowledge base and the core of what the company stands for. It also, means that the brand must gain traction with customers. Target market feedback can validate or re-direct the company’s internal perspectives on the brand. It can provide an early indication of how the market will respond. All of this needs to be done within the context of the company’s business strategy. Premium brand positioning won’t fly if the company is not able to develop market-leading services or products. Low cost positioning does not work if the company is not geared toward lean process management. Brand needs to rest in a gut-level understanding and commitment throughout the organization, and driven by top management. Inside out. Clarity on what the company is really great at. No top level understanding and commitment? Very simple, the brand will devolve and die -- usually from a thousand tiny cuts. Kodak lost its business strategy, what it stood for, how it added differentiated value in the market. Loss of a once great brand. It’s not just about advertising the Kodak name. It’s not just about having a business strategy that can make profit this quarter to please Wall Street analysts. It’s about standing for something truly great, delivering it with heart-felt conviction, and making sure that it can be delivered. Customers need to see and value the difference. Outside-in. The market needs to get the brand throughout all touchpoints – how is what the company stands for communicated and delivered in the product or service experience? In the packaging? In advertising? In the sales experience? And, a check on all this – is the business strategy in synch with the brand? It has to be or trouble looms. Hansa is an Integrated Marketing Communications firm providing research, analytics, digital advertising, and brand strategy through an efficient global delivery model. Linking together targeted marketing functions such as brand strategy, digital marketing, social media, email marketing, and creative design, we propel our clients forward on a clear, concise path to marketing success. These are all important questions, but they only begin to scratch the surface of what is possible with Adaptive CBC data. With the use of a simulator tool, conjoint data comes alive. A simulator tool is likened to a “voting machine” allowing researchers to build what-if scenarios and test price sensitivity for an offering. This is achieved using share of preference estimates that are derived from the conjoint utilities. 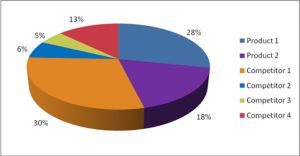 Share of preference is defined as the proportion of respondents in the sample that would select one product configuration over several others. That is to say, if an organization were to offer a product with the features specified in the simulator, what proportion of consumers would select that offering over other competitive bundles? In the following example, an organization is torn between bringing two distinct products to market (Products 1 and 2). The Adaptive CBC simulator becomes an indispensable decision-making tool in this scenario. By pitting both products against each other, along with four offerings from key competitors in the space, the simulator is able to determine a “winner” utilizing the Adaptive CBC utilities. In this example, a competitive offering is still capturing the most preference share; however, our hypothetical Product 1 is not too far behind. In addition, Product 1 is a clear favorite relative to Product 2. From this simple simulation exercise, we have learned that Product 2 is less viable than Product 1, and that improvements still need to be made to product 1 if it is to overtake the competition. Another powerful simulation tool is a price sensitivity analysis. We are able to generate price curves from the BYO and tournament portions of the Adaptive CBC questionnaire. The example below displays optimal price points for our most preferred product bundle. 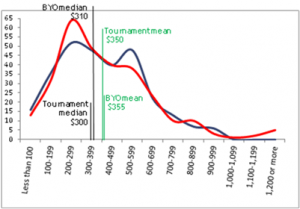 The red line indicates "BYO Exercise" while the blue line plots the "Tournament Exercise" price data. Simulator tools are quickly evolving to incorporate data points beyond that collected through the survey process. For example, simulators now take into account the cost of producing a product and its total impact on revenue. Costs would take labor and material inputs into account, along with any additional charges incurred getting a product to market. By taking these factors into account, Adaptive CBC simulations can pinpoint product bundles most likely to maximize revenue, rather than simply capturing greater market share which may be offset by higher production costs. There is far more to Adaptive CBC output than we can cover in this blog. Hansa GCR is a full-service market research and consulting firm. Looking through the lens of the customer experience and applying psychological principles of human motivation, it offers best-in-class research in areas relating to Customer Relationship Equity, Brand Solutions, Market Assessment, Green and Sustainability, and Product/Service Innovation. Hansa GCR is part of R K SWAMY HANSA, an emerging global group with 1,100+ professionals offering Creative Communication, Market Research, Data Analytics, Brand Consulting, Interactive and Healthcare Communication Services. In a prior Thoughticle™, Refreshing the Brand: Focusing on Key Brand Elements,” we described Hansa’s proprietary Brand RJVNTR™ process and the brand elements that need to be addressed to create your brand promise. These elements are summarized in the following exhibit. The brand personality captures who you are. The brand values reflect what you believe is the right thing to do, and the benefits articulate what the customer gets. The essence represents the core of what you stand for. All together constitute the brand promise. This Thoughticle™ adds additional tips for rejuvenating your brand and addresses the key tests for ensuring a successful brand. In short, we need to answer three threshold questions before we rush to market with a refreshed brand. First, the brand promise has to be valuable. This means the target customers must see the brand as relevant to their lives and serving a useful purpose. It fulfills a need. They would pay money for it. What some customers see as valuable and as fulfilling a need may not be what others see. For example, I could not ever see any value in spending time in a gift shop. Not that I don’t like gifts or like to give them. I just look at the usual merchandise in brick-and-mortar gift shops and think, “Why would I buy this stuff?” Others I know, however, can think of no better Saturday afternoon then leisurely browsing gift shops on the Oregon Coast. Value truly is in the eyes of the beholder. As for me, I will jump on line to do my gift giving. So, when we think about value we also need to consider value to whom? Who is the target market? How big is the market? What would prospects and customers be willing to pay? For example, there is no point in taking a brand into an upscale position if the target market is a price-conscious buyer with a certain income profile in the respective category. Here’s where things get tricky. If one defined the target market for laptops as price-conscious buyers, then we might shy away from marketing a premium-priced laptop. But, if we define the category differently, as consumers valuing a sleek easy-to-use laptop that has cool design features, then the category and target market, and price customers are willing to pay for value, are dramatically re-defined. Remind you of any particular brand? The target market is not just a customer demographic, but also a customer with a certain set of needs or predilections. Second, we need to ensure the value target customers perceive is distinctive relative to competitive offerings. “Why buy me?” “How am I different?” “What makes me unique?” Five Guys® Burgers and Fries competes in the crowded quick-service burger market. But, it has a clear point of difference: fresh ingredients, a broad assortment of toppings (all of which can be added for no additional cost), peanuts that can be shelled and tossed on the floor, and fries that magically double in quantity when the server places the order in your bag (and loads an extra spoonful of fries into the bag at no cost). Things get really hard when one is trying to sell something the same as everyone else. Markets and customers evolve toward commoditization if suppliers permit them. This happens because customers will ask for what they are familiar with, and if competitors have matched the value proposition of a one-time leader, then customers will ask for a lower price. Unless the leader or others have continuously innovated and developed a point of difference, a supplier has no choice but to reduce price to get the business. The challenge for suppliers is to develop something new and different and to educate the market on that differential value. So what makes for differentiation? It could be a product feature, like “stainproof,” a service aspect like “ships free – both ways”, or an emotional attribute like “being cool.” Or many other things – anyone remember the Pet Rocks of decades ago? Unbelievable, really – put a small rock in a box and call it a pet and sell millions. Novelty and fad. But people have a fundamental need to be a part of a group and of the right group (fellow pet rock collectors), and no one else was doing it. A point of difference in the novelty category. Third, the brand must be executable. Yugo of days gone by tried to implement a low cost, entry-level car brand. To disastrous results. They could not execute. The cars became the brunt of late night talk shows for their poor quality. They had a fleeting point of difference on cost, but only to have it undermined and overshadowed by their inability to deliver on the table-stakes feature of reliability. These three key tests are summarized in the following chart. When refreshing your brand, make sure to put your new brand promise to these threshold tests. Is you brand current and impactful? Does it need to be refreshed? Where would you plot yourself on the following chart? 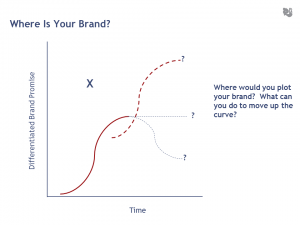 Is your brand still on it is initial growth curve? Is it starting to level off? Perhaps decline? Should the brand be refreshed and readied for its next evolution? Is market share growing? Is customer loyalty declining? Is company valuation slipping or undervalued? Are competitors being more aggressive in their marketing? Are competitors creating buzz at your expense? Are you seeing differences in customer segments, where newer segments are emerging with different needs? Any of these factors and more could be warning signs that your brand needs to be refreshed. Or, as we say at Hansa, “rejuvenated,” using the Hansa Brand RJVNTR™ process. Should you even wait till you experience the above warning signs? It is a far better battle to fight when on the offense than on the defense. Indeed, we suggest that the question of refreshing the brand should be one constantly on the radar for brand managers. How can you keep the brand relevant, differentiated, and valuable? Values also play through in your brand. What do you value? Engineering excellence? Design aesthetics? Responsiveness? Doing the right thing for customers? You can’t hide your values. They come across in your communications and how you treat customers. They are reflected in your products and services. Your brand needs to reflect what you truly believe as a company. 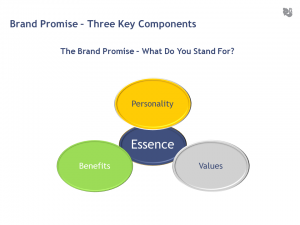 The third key brand element is benefit. How many times need it be said that customers buy benefits not features? Yes, features are important in brand communications – they grab attention and interest. I want to know the horsepower of the car when I am shopping for a new vehicle. But am I buying horsepower per se? No, what I am really buying is something more like a feeling of exhilaration and a thrill when I tramp on the gas pedal – benefits. We can communicate around features in your product and brand communications, but what we need to be clear about is how those features ultimately generate a benefit – either a functional benefit or emotional benefit. These benefits could be either explicitly known to the customer or perhaps subconscious (which can be particularly true with emotional benefits). The emotional benefit can be explicitly communicated or left implicit. By the latter we mean the features are communicated, knowing that they will directly tie to an underlying implicit benefit. What resonates most should be validated with the market. Do they need features to grab their attention? Do the features implicitly link to an underlying emotional benefit? Or, does the emotional benefit need to be clearly and directly stated? Avoid being caught in the trap of common knowledge about what should be done in brand communications. These are all testable questions. One thing however, is true – the feature/benefit connection should be clear and purposeful in developing the brand positioning and messaging strategy. Know, however, that managing and communicating the brand entails a focus on all the brand elements. All the elements together constitute your brand promise. Executing that promise throughout the customer experience, across all touchpoints, then becomes the challenge – that’s where the brand becomes real. 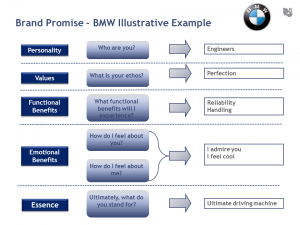 The following exhibit illustrates the brand promise using BMW as an example. The example is our own interpretation of their brand, as it comes across in their marketing and brand delivery. BMW was not always positioned as the ultimate driving machine. The brand and product has undergone tremendous evolution since its introduction in to the United States market with cars like the 1968 BMW 1600: a very economical few-frills automobile that had a superior engine with an overhead cam, strut suspension, independent rear suspension, and front disk brakes. At the time, these were not common features on an entry-level sedan. It appealed to the more sophisticated buyer of a lower price-point performance car who was looking for a sedan that could comfortably seat four while delivering superior handling. BMW today is still a performance machine, but admittedly with a broader customer base and brand identity. They have evolved considerably from their entry-level performance positioning to something very different today as an up-scale automobile appealing to a well-off consumer. BMW is good example of a brand that has been constantly rejuvenated. Hansa integrates brand strategy, research, analytics, digital marketing and creative design to propel our clients forward on a path to business success. Often, when one hears about business analytics, big firms (Amazon, IBM, Google) come to mind. However, analytics aren’t just for the big guys – small companies can also reap the benefits of business analytics to increase revenues and improve the bottom line. 25% of their customers had made a purchase using a coupon code. However, the company lost money on 75% of orders with a coupon. This wouldn’t be a problem if it generated profitable customers, however only 5% of customers who had used a coupon code made more than one purchase. By developing business rules to identify gift giving, I was able to determine that customers spend significantly more money on gifts than they do on themselves. 46% of customers left the site (bounced) before even starting an order. Armed with this new knowledge, we were able to generate strategies to improve their business. We suggested new creative which could be implemented to decrease the bounce rate, identified the few coupon codes which were profitable and flagged the “gift givers” to send them targeted offers. Just because this was a small company didn’t mean that we couldn’t use analytics to have a big impact on their bottom line. About the Author: Ed Jaffe is a Customer Intelligence Consultant with Hansa Marketing Services. He has several years of experience working with small and large businesses to develop media and marketing strategies. His focus includes customer segmentation, consumer insights, marketing measurement and email marketing. Ed has a Master’s Degree in Marketing from Northwestern University / Medill IMC. He can be reached at ed.jaffe@hansamarketing.com. Think of any well-known (niche or global) consumer or business-to-business brand: Oracle, Apple, Coke, Burger King, etc. What comes to mind? Logos, taglines, symbols, stories, images, and other more abstract meanings we associate with the brand. The better known a brand is to us, the more extensive our knowledge and perceptions will be. In combination, these elements reflect the brand promise. When you buy something, you are essentially buying the promise underlying the brand. Incredibly, most brand tracking research does not explicitly measure brand promise or whether brands deliver on that promise. Instead, they focus on important – but often less critical (and certainly incomplete) measures like awareness and relevance. Let’s take a look at what happens when a brand fails to deliver on its promise. If the brand fails one time and it is a brand we are loyal to or invested in, we may forgive failure, or write off shortcomings as a fluke. If a brand fails spectacularly, however, or in small ways on a frequent basis, we end up dissatisfied (and perhaps feeling violated or cheated). In fact, the greater the brand promise, the higher the likelihood we will be disappointed with failure. Think of the past furor around Toyota’s recall of vehicles for faulty acceleration and brakes. Did Toyota owners continue to look to Toyota for reliable cars? Another example: if people believed that Apple’s iPad falls short on brand promises Apple has made around innovation and style (which judging by sales, they don’t), will people believe Apple itself has lost its magic? What we’re getting at here is that the brand promise is closely tied to delivery of the promise, and in the mid to long run consistent brand delivery is more critical –- and perhaps even more important – to building a sustainable brand than advertising and communications. Put another way, building a brand goes way beyond communications...the brand is the total experience the customer has -– the experience is the brand. No matter how much a company spends on marketing, if over time consumers feel that they are not getting the functionality promised to them, brands will not sustain. Relevant advertising and growing awareness will not address this most fundamental problem for brand leaders. So, when designing marketing campaigns, marketers need to be keenly aware not just of awareness, believability, and appeal of brand promises; they need to monitor consistent delivery of brand promise among customers. Too often, we see that brand management is viewed in isolation from brand delivery, the former being measured primarily through brand equity and advertising research, while the latter falls under the purview of customer satisfaction and loyalty. This is an extremely costly (and often fatal) error that will only grow in scale as social networks magnify and compress reporting of failure to deliver on brand promises. Our perspective is that accurately measuring equity of the complete customer relationship necessitates understanding how communications, brand promises, and brand promise delivery interact in a tightly integrated way. 1) Ensure that your customer satisfaction measurement is closely tied to your brand equity research, and that both are linked to one another. So, if your brand’s tagline is “fly the friendly skies” (as was United’s a few years ago), your customer satisfaction tool should evaluate if your customers are getting a friendly experience at all touch-points - initial communications to ticketing through baggage-handling). There are a number of ways this can be achieved: First, it is possible to develop an integrated measurement that captures overall brand perceptions and loyalty, and then drill down to specific customer experience-attributes at all touch-points as well as perceptions-related attributes for advertising and communications. The benefit of this approach is that the back-end modeling can tell us whether or not the brand is being lived at all touch-points and can also reveal the effectiveness of the current brand promise in building loyalty and market share. If this kind of approach is too ambitious, and the company prefers to have a more focused customer experience measurement tool it is extremely critical to incorporate specific brand attributes in customer touch-point surveys and ensure overall monitoring of the delivery of brand promise. 2) Ensure that you train all your customer-facing employees on delivering the brand promise and use customer measurement to evaluate if your employees live the brand. How many times have you walked into a store that promises prompt and friendly service and it has taken you fifteen minutes to even locate someone who can help you? It is critical that you train, empower, and incent your employees not just to be service-oriented, but to be clearly mindful of specific brand attributes that differentiate your brand from competitors. Wherever possible (e.g., retail stores, call-centers, account representatives, insurance agents, real estate agents, etc. ), collect data at the employee level -- measure if the employees (and processes) are living the brand and exhibiting brand-consistent behavior and incent them accordingly. If this is not possible or is cost-prohibitive to implement at an employee-level, consider using this approach at a unit level (e.g., store-level, district level, etc.). 3) Create cross-functional teams to take action from your customer research and use customer experience feedback in developing your advertising and communications, and fine-tuning your brand positioning. While this is not a common practice, we have used brand-centric customer experience surveys to not only improve customer facing touch-points but also to inform advertising -- particularly message development. For example, for a major Financial Services firm, we found that customers highly valued and appreciated the personalized sales relationship and the custom knowledge of their situation that their salespeople brought to the table. This was an important driver of customer loyalty and differentiated the company from its competitors. The client used this information to refine its communications –- the overall position of leadership remained the same, but the message revolved around excellence in relationship-building, customized approaches, and solution-orientation. Customer satisfaction and loyalty surveys, if designed properly, can provide you opportunities to better differentiate and position your brand. In summary, we recommend that marketers who are involved in developing brands should ensure any brand message tracking insights are tightly integrated with customer satisfaction and loyalty tracking insights. The demands of brand building today encompass the entire customer experience, so brand communications, perceived brand promise, and brand promise delivery need to be measured, analyzed, and acted upon together. How much money are you spending on tracking customer satisfaction? Consider not just the costs for research, but internal costs of personnel managing research plus all the stakeholders who receive the tracking results or who are otherwise involved in the process. Also consider whether there are opportunity costs – in other words, if you re-deployed these monies to other purposes what could you do with them that might be of value? Perhaps you are spending $100,000. Or, might you even be spending millions like some companies do with massive global customer satisfaction tracking programs. This can be a significant investment for any enterprise and as with any investment, we must ask… how can we get a return? Companies often begin asking this question once they receive the research results. Unfortunately, this is way too late to be asking how to maximize results from the investment. Threshold questions should be asked before one item of data is collected. A basic question is: Why collect customer satisfaction data? (By “customer satisfaction” data, I am including other labels and approaches like customer loyalty, net promoter, customer value, etc.) Truth be told, some companies collect customer satisfaction data because, well, other companies do it, so they feel they must as well – it’s what well-managed companies do, is it not? Okay, maybe this is a little jaundiced, but search the reasons behind your own company’s customer satisfaction program. Perhaps management has said, “We need to stay close to our customers, we need to run the business based on facts and data, or we need to hold people within the organization accountable for delivering customer results.” This is fine, but all these points beg the question: What are you going to do with the data; indeed, what will you be able to do with the data? Here’s where a disconnect often occurs. Management may say they want a customer tracking survey to stay in touch with customers and monitor whether the organization is making progress in the customer experience, but the gap between this intention and the delivery against it could be significant. A vivid illustration is this: The company develops a customer survey that I will call a strategic or relationship-level survey. This type of survey would measure all relevant ways customer touch, or interact, with the organization – from web site to sales to service to customer service, and more. This type of survey can reveal where the overall leverage points are to influence customer behavior. In contrast, the organization might decide to do a survey only in the customer service department -- to gain tactical details on how customers reacted to a recent service experience, including wait time, service rep courtesy, problem resolution, etc. In either case, the organization decided to continuously (or periodically) track these customer surveys, either at the strategic relationship level or the tactical level. The gap emerges, however, when the survey approach disconnects with what management wanted to do with the data. When a strategic survey delivers results to management, companies often respond by saying, “I knew this; tell me something new,” or, “This is all well and good, but tell me what I should do” or, “We have been tracking this data for three years and we have implemented all these programs and we are not seeing progress.” Many answers are possible around these issues, but a threshold issue is what management expected from the survey or what they wanted to do with the data and whether the type of survey was designed to deliver against their expectations. A strategic survey by its nature cannot drill down into the specific detail that yields tactical insight – the “tell me what to do” – that many on the management team might want. This becomes a disconnect between the customer satisfaction tracking approach versus what management wanted to do with the data. I worked with one firm where they had received results from their strategic survey of customers and the results suggested their customer service area was in need of improvement. When this message, however, was delivered to the reps in the service center, their response was, “We’re smiling all we can, what else do you want us to do?” Unfortunately the survey did not answer that question, creating a bit of frustration. Conversely, management may want to build customer loyalty, repeat purchase, cross-sell, and so forth. And the executive team turns to the results from a service center tracker to ask how to increase loyalty. Or, management may have a survey that tracks product feedback and the company asks, “How can we improve loyalty?” The gap here could be that management gets the service center results, takes action, and sees no lift in loyalty. Why? Because the service center is only one touchpoint among many that may be affecting overall loyalty. If you measure just the service center, yet management really wants to use the data to increase loyalty, then there is a disconnect. Recently I took a survey from a well-known bank about my ATM experience. I responded to their questions about my experience using the ATM with “10s” on all items, except when it came to the question of willingness to refer them to others – I gave them a “0.” I also gave their brand a low score. Why? Because there are other parts of their experience that go way beyond the ATM that affect my overall evaluation. They are probably still trying to figure out how it can be that I love their ATMs but hate them. Or, they are ignoring my response. Or, who knows what? If you want overall insight into where the key leverage points are in building customer loyalty, conduct a strategic survey. But, do not expect it to provide actionable details at a tactical level – the silver bullet answers. That’s not the purpose for which it is designed. It can play a critical role in identifying the landscape of drivers of customer behavior and where to focus improvement work, but the specific, detailed actions that might be needed require another approach. Expect to conduct “drill-down,” tactical, or other very focused research into areas of leverage from the strategic survey. Expect, too, that it may not be just one thing that needs to improve to move the needle on customer loyalty; it could well require a collection of customer touchpoints to make a customer-perceived difference. Be judicious about using strategic surveys as trackers – yes, they can be valuable to gauge progress and assess changing customer expectations, but unless complemented by tactical-level insight, do not be surprised if numbers do not change (or worse, they decline despite improvement efforts). Do not use tactical surveys, providing feedback for one or limited touchpoints, as the basis for making decisions on what will drive loyalty. Everyone knows the story of the blind men touching the elephant in different places, with each thinking it was a different animal. The same fragmented view can happen from using tactical surveys to assess loyalty. Stepping back from strategic and tactical customer surveys, has your organization ever taken stock on the breadth of research surveys being conducted across the organization? Do you have confidence that research dollars are providing results in the most efficient and effective way? Is there alignment between survey approaches and management’s desired uses of customer data and the business insights needed? If you do not know the answers to these questions, perhaps it is time to step back and ask whether there are ways to gain better returns from research investments. In evaluating your customer satisfaction measurement systems, one area to consider is whether there are opportunities to create a system of linked customer satisfaction measures. This system could leverage strategic-level data to inform tactical survey decisions and design so that the tactical survey results, collected on perhaps a continuous feedback basis, provide a leading indicator of results that will be reflected in the strategic survey of overall customer relationships. Gaining clarity about areas of high leverage for drill down analysis from strategic surveys can provide a bridge from strategic to tactical insight to make business decisions that affect customer loyalty. So many organizations design myriad tactical surveys in multiple areas: Service centers, tech support, delivery etc. It sometimes appears to be like the arcade game “Whack-A-Mole” – where little moles keep popping up from holes on the player board, and the player has to beat them over the head with a rubber mallet. In trying to address any one mole, another pops up. Are you playing Whack-A-Mole in your company with all the different surveys that might be conducted? Conduct a customer insights audit – identify not only all the surveys being done and their value, but most importantly, gain clarity on what management needs to run the business. Are there gaps between desired information and data uses versus the customer satisfaction data collected? Are there opportunities to close the gaps and gain more actionable insight relevant to the business? Can you get a better return on your research investment? At the risk of stating the obvious, marketers care about what’s important -- what’s important to customers relating to products, messages, and brands. Understanding what is important, however, is easier than understanding the why and the how of importance. More specifically, market researchers usually talk mainly about two kinds of importance: stated and derived. We tend to think this view is oversimplified, however, and that it actually interferes with truly understanding customer behavior. In this article, we’ll review stated and derived importance and then discuss why we think there’s more to “importance” than meets the typical researcher’s eye. So, let’s begin with stated importance, which essentially amounts to letting consumers tell us what matters – as in, which product or service attributes they feel are important. Pretty straight forward stuff. Market research is a rarely without complication, however, as there are multiple methods to get at stated importance, including rating scales, Q-sorts, constant sums, unbounded scales, magnitude scaling, maximum differential scaling, and so on. Researchers generally agree that among these, maximum differential scaling is the most effective. On the other end of the spectrum, derived importance arises specifically from consumers’ behavior and the factors that predict their behavior. The better a product feature (or brand attribute, etc.) predicts decisions, the more important that feature. As with stated importance, numerous statistical methods are available to compute derived importance (which, go figure, turns out to be harder than you might think to do correctly -- but that’s another article). Although often correlated, stated and derived importance differ in several ways. First, attributes which are said to be important may not actually predict behavior because they are similar across all alternatives. 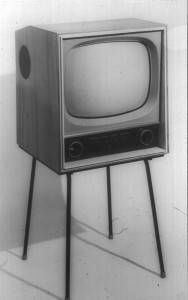 Here’s an example: Is a remote control important to TV buyers? Probably any survey would confirm that consumers prefer TVs with remotes, but inclusion of a remote would not predict which TV is purchased -- because all TVs come with remotes, right? The stated importance of remotes would not match their derived importance. A second reason that stated and derived importance are different is the inherent irrationality of human decision making (see, for example, Sway: The Irresistible Pull of Irrational Behavior by Ori and Rom Brafman). Attitudes and behaviors are often only weakly correlated with behavior, if at all. That is, what people say is important rationally may not be what predicts their irrational decisions. Finally, stated importance is affected by social desirability. Socially acceptable attributes tend to have higher stated importance, but predict behavior only weakly. For example, good gas mileage and low emissions may be rated as important in a car, but that has not stopped many Americans from buying SUVs and sports cars. In a given study, researchers are able to capitalize on the differences or similarities between stated and derived importance to bring about actionable conclusions. For example, attributes high in derived but not stated importance may be key competitive differentiators, whereas attributes high in both may be critical requirements necessary for customers to continue to consider services or products. For whatever reason, market researchers rarely go beyond a straight comparison of stated and derived importance. In particular, they overlook the possibility that there is a set of causal relationships among attributes. Consider the example below, adapted (and simplified) from an actual study and real data. The model fit the data very well and indicated a very particular pattern of relationships among the attributes of quality, affordability, trust, respect, and value as predictors of two outcomes: satisfaction and loyalty. 1. Without understanding the full model, we would conclude that three attributes had derived importance with respect to satisfaction (trust, respect, value), but only two with respect to loyalty (trust, value). 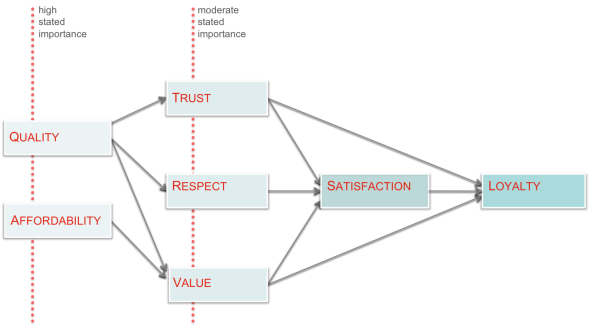 As the full model indicates, however, assuming that respect is not related to loyalty would be a mistake. The key insight is that respect indirectly affects loyalty (through satisfaction) but is nevertheless a critical driver. 2. Quality had very high stated importance but most standard analyses would find that quality has low derived importance with respect to satisfaction or loyalty. The model allows us to understand why -- quality drives other attributes, which in turn drive satisfaction and loyalty. We could describe quality as having secondary derived importance but primary stated importance. 3. Affordability had low stated and derived importance. Without the model above, we might have mistakenly concluded that affordability was unimportant. Instead we see that affordability is a key secondary driver of value. Although quality turned out to be much more important, affordability cannot be overlooked as relevant to satisfying customers. 4. We might have considered satisfaction and loyalty to be two distinct outcomes, but in this study, loyalty was a result of satisfaction -- not a parallel or independent outcome. The four examples above are some of the insights that arise from going beyond standard notions of importance and understanding a broader model of customers’ attitudes and behaviors. Certainly, stated and derived importance -- as typically conceived -- are valuable concepts in understanding customers, and in some studies, are sufficient by themselves. In some cases, however, we need to go beyond stated and derived importance and get to a more complex view -- a view that produces additional clarity and understanding of customers. The particular technique used to produce the model -- structural equation modeling -- allowed us to understand the complexity of the relationships among the seemingly disparate attributes. That insight gave our client both a better understanding of what to act on and also a clearer picture of the results their actions could have. Through the proper application of these similarities and differences, researchers will discover that importance is best not viewed in a vacuum; taking the new step of analysis can have a significant impact on your results -- and your actions. Put simply, gaining a complete picture of how importance matters to customers and actually drives outcomes (not just satisfaction in the example above), could materially affect what you as an organization focus on to make improvements. We’ve observed repeatedly that incomplete representations of what customers deem important may yield a list of improvement priorities -- and those priorities can be vastly different than those resulting from a more complete picture (as illustrated above). So, be sure you have the complete picture before taking action; otherwise you could be focusing on the wrong things! At a basic level, interactions between companies are simply interactions between people. That may sound silly, but consider its implications. Buyers who work in companies don’t change their bodies when they leave work and then they go home and become purchasers of consumer goods and services. As consumers, they walk around as a package of thoughts, feelings, and attitudes, along with a history of experiences in buying goods and services and an ever-evolving set of expectations. None of this goes away when they go to work the next day and dress up in their corporate buyer persona. The notion that there is a hard and fast difference between consumer experiences and B2B experiences would not hold water. Buyers, decision makers, influencers, and other stakeholders in corporations that marketers want to communicate to and build relationships with will bring some or all of their consumer expectations to the workplace -– they will look to vendors they can trust, just like they would want to find local repairmen they could trust. They have expectations about what really good service looks like at Nordstrom’s and they will expect similar service from their preferred corporate suppliers. They bring their personal values about what is right and wrong and good and bad and how a retailer might make good on a defective product. They will apply similar values to their vendors’ products at work. In the exhibit, CVI is a corporate values index, while PVI is a personal values index. 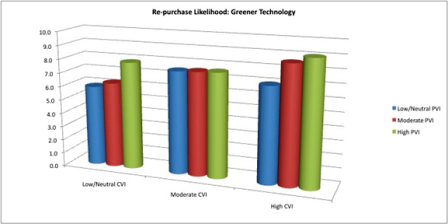 Note that when corporate values about “greener technology” are relatively low, yet personal values are relatively high, the buyer will more likely buy greener products. When personal values and corporate values are relatively high, there is an even greater propensity to purchase greener products. But here’s more of the paradox. While corporate decision makers and buyers bring their personal consumer experiences to work, and arguably aren’t a different person than when they were at home, at the same time, they could well be a different person. That distinction between consumer experiences and B2B experiences might indeed hold some water. Individuals within corporations bring their own values and expectations, but now those individual characteristics are filtered in the business environment. Corporate polices and processes come to play. Group-developed decision criteria and review processes exert their roles. The boss may simply decide or dictate a decision that others then have to live by. Many other factors rear their head and reinforce or possibly conflict with these individual values. Indeed, the corporation can be said to have its own persona, or culture, if you prefer. So now we have really two people in one –- the individual decision maker and the corporate “being,” persona, or culture. So what does this mean for marketers and market researchers? Well, let’s assume that we want to determine the factors that drive buying decisions in a corporate environment. Who is the buyer? In one sense, the buyer is an individual, or team, as it may be. But in another sense the buyer is yet another person with its own self -- the corporation. Most approaches to surveying corporate decision makers gain the individual respondent’s view. That’s well and good. Maybe the research survey will try to gain feedback from a few influencers beyond the target buyer or buyers, believing that once information is collected from these few individual views, there now is a basis to discern what drives decisions in the organization. But, what about this idea of the corporation as a separate identity? Did you believe the logic that a corporation can be viewed as having its own persona? Just think of your own experience with companies that you might characterize as arrogant, maverick, cool, or whatever. If corporations don’t have their own persona, we sure go to a lot of wasted verbal trouble in personifying them. When do researchers ever survey this “corporate” persona when they send surveys out? It is hard to send an email to the ABC corporation culture and expect it to respond, isn’t it? OK, so we can talk about a corporation as a person, but we can’t treat it as a person responding to a survey. Maybe not, but could we treat it as something the buyers and influencers within the organization can characterize? When consulting to organizations on their cultures, I will often engage in conversations with leaders and others about topics like, “What is it like to work here? How do decisions get made? What are the unwritten rules for making decisions? What’s valued? If this place were a person, how would you describe it?” All of these questions treat the organization implicitly as a definable culture, if not a personified entity. But, we as researchers seem to bypass these types of questions for ones like “To what degree is price a factor, how important is product performance, how responsive is your account executive, or did customer service resolve your issue to your satisfaction?” We typically don’t ask questions about the corporate culture and its influence on decisions, the unwritten values and rules, the implicit understandings about what type of vendor is preferred (e.g., the safe and established choice or the upstart different choice), or what the “rest of the organization” considers a good buying decision. 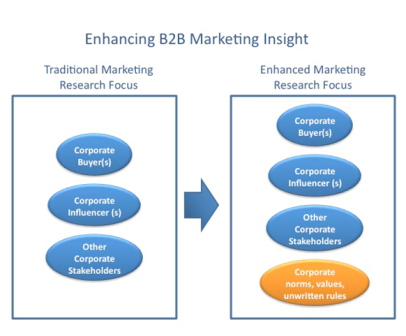 We believe that there is a need to rethink research in the B2B world. We have seen too many companies struggle with their customer satisfaction surveys and their research on purchase decision factors. Companies spend millions of dollars looking at customer touchpoints and their impact on customer behavior. But, is there something missing? Is there a need to look more closely at the context of decision making within organizations, to gain an even richer understanding of how to make inroads with marketing and sales? We invite you to engage with us on dialogue about the needs for different research approaches in the B2B world. We have developed new techniques to advance research methods toward these ends, including our proprietary Experience Boards and Customer Relationship Equity approaches to uncovering the drivers of customer buying behavior. For more information please visit us at www.hansamarketing.com or call 847-491-6902. I visited an Apple Store the other day and waited outside till they opened. When I entered, the entire Apple crew was arrayed from front to back along each side of the store and facing the front. They all clapped when the doors were opened. Clapped for me and the other customers who entered. Hokey? Maybe. Effective? You judge. I found myself helplessly grinning from ear to ear. Once more, I encountered another way to love Apple. For me, Apple is cool. Not just easy to use and free from viruses, but cool. I am emotionally connected to this company and its products. Me, someone who prides myself on being a careful decision maker, weighing the value of products I buy. Well the truth is I am not all that rational about decisions, and I would submit neither are you, nor are any of your clients and their customers. Antonio Damasio is a renowned researcher of the neural basis of human behavior and sites in the brain that process emotions. When these sites have been destroyed through accident, for example, people can no longer make decisions. Individuals might be able to rationally discuss the pros and cons of two choices, but when asked which is preferred, cannot make the apparent logical choice. Put simply, without emotions we cannot make decisions. Advertisers have long courted consumers with appeals to their hearts; that’s not news. What has been neglected, however, is that consumers also form emotional connections to most everything around them, including a piece of computer hardware or even a hamburger experience. In-N-Out restaurants has developed emotionally bonded customers who order from an underground menu known to them and to employees, but not published anywhere – a burger “Animal Style” anyone? The next area of opportunity for marketers is to ask, “How can we purposefully invoke desired emotional bonds in the customer experience?” This is about going beyond brand and marketing communications – this reaches to making the brand come alive by emotionally bonding the customer during the actual interactions customers have with the store, the product, the call center, or any touchpoint that drives customer advocacy. I was recently on a Southwest Airlines flight to Las Vegas, the once and perhaps still haven of Elvis Presley. The flight attendant did the mandatory announcements before take off, sung to the tune of “Blue Suede Shoes.” He was really good; and the entire planeload of passengers clapped. There’s that clapping again; an emotional response. I LUV® Southwest. They give me peanuts, a good price, and I can select my own seat. And it is the only airline on which I can say I ever had a good time. They know that I choose them not just because I rationally weigh their cost and value, but because of something more. They have my heart. The world is an experience filled with emotions, and the good news is marketers are starting to wake up to how companies can enrich our experiences, bringing out positive emotions in us, appealing to us through not just what we rationally value, but through how we actually are wired as human beings.